под общим 5 номером на драфте 1984 года. It was the 49th minute of the game between the players of the Czech Republic and Russia in the 1998 Olympic hockey finals in Nagano. In the offensive zone, Pavel Patera won the faceoff against Sergei Fedorov. From the left side of the rink, the puck got to Martin Prochazka. He sent it to the blue line, where Petr Svoboda was ready to fire. With barely a glance, Svoboda drilled it at the net and scored.Cheers erupted from the fans of the Czech team who were lucky enough to get seats. No doubt the fans watching the game on television at home reacted the same way. That nerve-racking game of February 22, 1998, was also shown on the giant TV screen in Prague's Old Town Square.With that goal, the Czechs won 1-0. In the clash of hockey titans, most people had favored the Russians over the Czechs. But the Czechs achieved a small miracle and won their first Olympic gold at that tournament. He was the oldest on the team after its captain, Vladimir Ruzicka. Even then he had over 900 NHL games under his belt. However, he arrived in Japan as a rookie on the national team. In the spring of 1984 he had taken part in the European Championship in the former West Germany with the elite of the under-18 category. After one match, he left the stadium, got on a bus and appeared on his aunt's doorstep in Munich.Back then, NHL teams had to wait months, even years, to get the players they wanted who were behind the Iron Curtain. 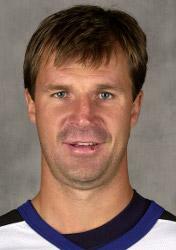 Petr Svoboda was one of the first to try to get a contract without going through the draft. The only thing he could tell his parents on the phone was that he had decided to stay. He just didn't want to wait the long months and years until officials in Czechoslovakia released him. The list of youths suitable for the draft in the Montreal Forum was very long that year: Mario Lemieux, a clear number one, Kirk Muller, Ed Olczyk and Al Iafrate, to name a few. These four were picked before Svoboda. The fifth to choose were the Montreal Canadiens. When they announced his name, he went up on stage and shook hands with the general manager, Serge Savard. A week before training camp, he injured his knee, preventing him from being ready for the season opener. Seven years later, as he flew to Nagano to represent the Czech Republic, members of that team had to bring him a passport from his native country.After a long and successful period in Montreal during which the team won the Stanley Cup in 1986, Svoboda suffered a series of injuries. 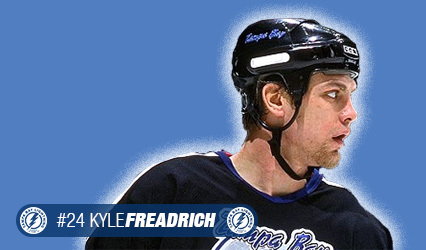 In the 1991-92 season, he was traded to the Buffalo Sabres, three years later to the Philadelphia Flyers and in 1998-99 to the Tampa Bay Lightning.